When it comes to investing in real estate, there are multiple factors which drive attention of an investor including the most important factor namely the background of the developers. Therefore, majority considers DHA as the best real estate investment option regardless of location and the development status as in the case of DHA Islamabad. 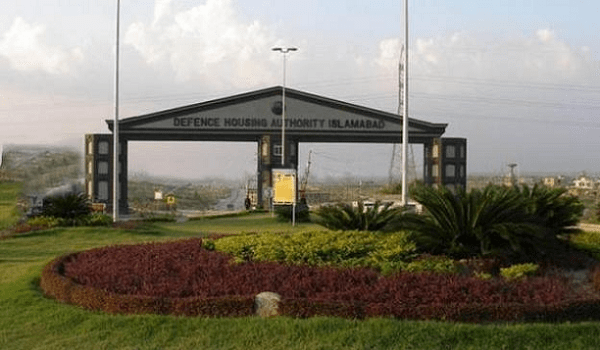 DHA Islamabad consists of 6 phases/projects namely DHA Phase 1, DHA Phase 1 Extension (Also Known As DHA Phase 4), DHA Phase 2 , DHA Phase 2 Extension, DHA Phase 3 and DHA Valley. DHA Phase 1 and DHA Phase 4 lie close to Bahria Town Phase 7 and 8, whereas DHA Phase 2, Phase 2 Extension, and DHA Valley lie towards Rawat with access from Islamabad Highway. DHA Phase 3 (ex-new pindi housing scheme) on the other hand lies ahead of RAWAT on G-T road just before the ChakBeli link road. As you can see DHA is spread over a large area in Zone 5 right after the exit boundaries of Rawalpindi. We will give a brief desription of each phase so that you can understand the location, development status, prices and investment potential. DHA Phase 1 is located right next to Fouji Foundation Hospital and it leads up to bahria town phase 7. It is a fully developed area with a large number of houses where families are living. It consists of A, B, C, D, E and F blocks. Sector F lies within bahria phase 7 and the project of Defence Villas also lies in the same block. Defence villas cosist of 11 marla double story houses with a luxurious accomodation. Since sector F lies within Bahria Town, basic utilites and amenities are provided by Bahria Town in this sector including Defence Villas. Average prices of 3 bed houses start from 1.70 crore up to 2+ crore & average prices of 5 bed houses start from 2.25 crore up to 2.70 crore. Average price of 11 marla plots which are located in sector F range around 1 crore & average prices of 1 kanal plots range from 1.20 to 1.75 crore depending on blocks and location. Orchard area is considered to be the cheapest one, whereas sector F is considered to be the best one for living. DHA Phase 1 Extension or DHA Phase 4 lies next to DHA Phase 1, close to Askari 14 and just opposite to Bahria Town Phase 8 Rawalpindi. Its initial blocks A, B and C are currently under development, while remaining blocks just exist on papers. Revised Map will be issued as the development starts for remaining blocks. It is also considered to be a good investment option, especially initial blocks A & C which are expected to be handed over for possession by next year. There are open certificates as well as all dues cleared files/plots. Development charges of 6 lac are pending in open certificates, however it is an easily tradable commodity and more demanded in the market. There are also unballoted files of 10 marla and 1 kanal plots allotted to army personnel which are considered best for investment due to expected location in initial blocks. Average prices of 1 kanal in initial blocks range from 70 to 80 lacs, middle blocks range from 50 to 60 lacs, and last blocks range around 45 lacs. DHA Phase 2 is the best sector for residence or investment due to its location. It lies on a very large area starting from GT road which goes beyond Islamabad Highway towards DHA Valley. Its access from Islamabad highway is considered to be the best feature of this phase as the traffic issues on GT road cause many home buyers to stay away from phases 1. 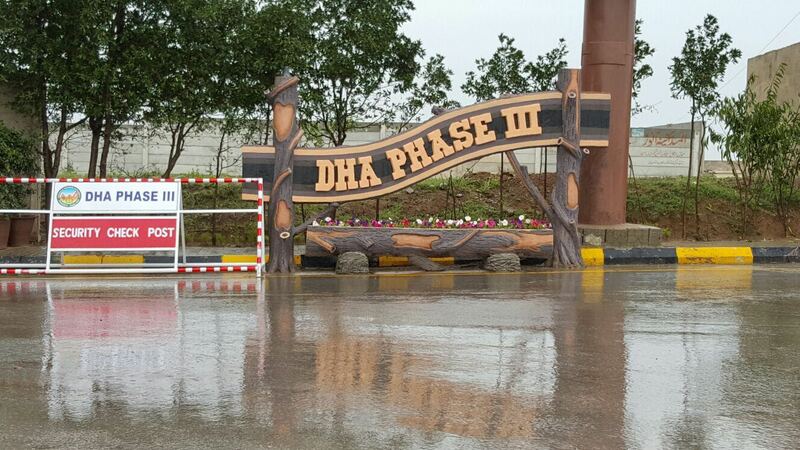 There are actually two parts of DHA Phase 2, first one is from block A to block H which is the actual DHA Phase 2. Remaining part from J to Q is called Ex-Commoners Town since it was acquired later by DHA from Commoners Town. 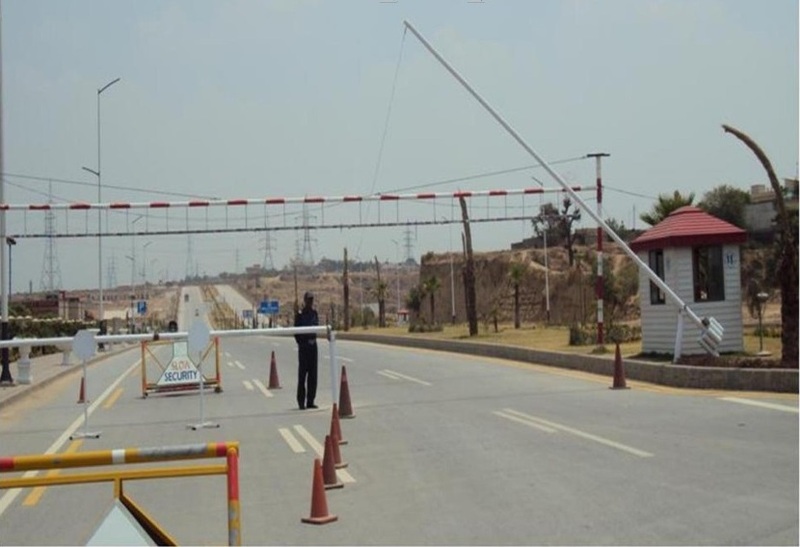 Blocks A to J lie to the right of Islamabad Highway towards GT road, whereas blocks K to Q lie to the left of Islamabad Highway towards DHA Phase 2 Extension and DHA Valley. Blocks A to L are fully developed, while N, P and Q blocks are under development. Considering prices of developed and non-developed blocks, there is not much difference left due to the increasing investment volume. Prices of developed blocks start from 1.20 crore up to 2 crore, whereas non-developed plot prices range from 90 to 1.10 crore. Since it is located on a vast land, planning of roads and amenties is much better than DHA phase 1. It has many entrance gates on Islamabad highway as well as on GT Road which makes it easy to access different blocks. Initial area towards GT Road is being utilized by Alghurair Giga where many of its high rise apartments projects are under construction including World Trade Center. Whereas remaining areas have proper residential and commercial setting. Askari 15 Apartments are also constructed in DHA Phase 2, and considered best for living due to location, construction and facilities. Best blocks considered for residence are D, E, G and J, whereas best blocks considered for investment include K,L, N and Q.
DHA Phase 2 Extension is the area located right next to DHA Valley on DHA Expressway. It comes after DHA Phase 2 block Q but there is currently no development in this area. It is considered best for long term investment since there is no development plan available for this area so far. Its initial blocks A, B and C are considered best for investment, and prices normally range from 50 to 55 lacs for 1 kanal all dues clear plots. Remaining blocks from D to T have different rates which range from 26 lacs up to 42 lacs for open certificates and 34 lacs up to 48 lacs for all dues cleared files. There is no map available for this area, however location is more appealing than DHA Phase 4 due to its highway access and neighboring developments by DHA. 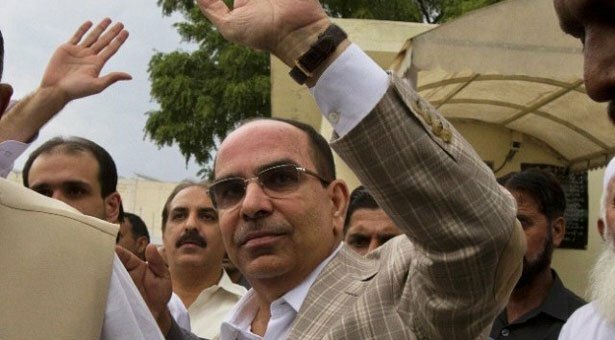 It is also called Ex-New Pindi Housing Scheme since it was purchased by DHA from its actual developers. It lies on GT road after you cross RAWAT. If you happen to visit DHA Phase 3, you will see remains of old development, however DHA will develop this area as per their revised masterplan. Recently DHA acquired Serene City/Garden City Zone 5 and chalked out the revised master plan of DHA Phase 3, which starts from Garden City and leads up to the original area of DHA Phase 3. Considering the masterplan and current developments, only the acquired area of Garden City Zone 5 seems to be the best investment option, whereas remaining old blocks seem to take long time before the development can actually start. Old blocks of DHA Phase 3 consist of Block A to Block E. Plots of 5 marla, 10 marla, 1 kanal and 2 kanal sizes are available and normally price of 5 marla ranges around 20 lacs, 10 marla range from 30 to 45 lacs, 1 kanal ranges from 45 to 65 lacs and 2 kanal ranges around 1 crore. Garden City consists of Zone 5 to Zone 9 and consists of 5 marla, 8 marla, 10 marla and 1 kanal residential plots. It is important to mention that Garden City is a fully developed area located right next to Bahria Town Phase 7 and Safari Valley. Possession of plots is available in Garden City so you can buy and construct your houses right away. Average prices of 5 marla plots in Garden City range around 22 to 25 lacs, 8 marla plots range around 28 to 32 lacs, 10 marla plots range around 45 lacs and 1 kanal plots range from 65 to 90 lacs. 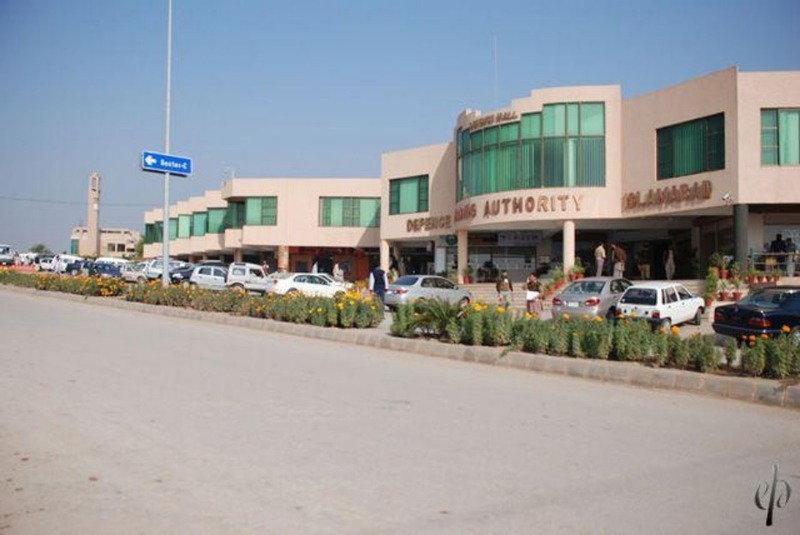 DHA Valley is a joint venture between DHA, Bahria Town and HRL. It is located right next to DHA Phase 2 Extension. The project was initiated as a low cost housing scheme and it consisted of 18 residential blocks where 5 and 8 marla residential plots were given to general public through balloting. Apart from residential plots, commercial plots of 4 and 8 marla, commercial shops, as well as 5 and 8 marla houses were launched in this project. There are multiple issues involved in this project especially due to the partnership factor, however vibes are positive now after DHA is taking this project seriously due to continuous uproar from general public. DHA Valley can be considered for a medium to long term investment. Since it is a low cost project, prices are still affordable for majority of buyers/investors. Average price of 5 marla plots range from 7 to 11 lacs and average price of 8 marla plots range from 9 to 16 lacs. There are open files as well as transferable files, but there is not much difference except for transfer procedure and cost. Similarly commercial plots of 4 marla cost around 40 to 55 lacs, whereas commercial plots of 8 marla cost around 65 to 80 lacs. Commercials are considered to be the best investment option in DHA Valley due to low prices and high potential. 5 marla single storey homes normally range from 30 to 35 lacs and 8 marla double storey homes normally range from 60 to 65+ lacs. These homes are also considered to be the best investment option mainly due to construction status and expected possession earlier than any other block. Best blocks for investment include Bluebell, Sunflower, Tulip, Rose, Magnolia, Daffodils, Oleander, Lily and Jasmine. After this bried introduction of all phases/projects by DHA, you might already have reached the conclusion as to which phase should be considered for investment. Since the purpose of this article is to give you basic guidance for investing in DHA and brief knowledge of all of the available options in Islamabad, your own judgment will play vital role in terms of investment return. Normally we consider DHA Valley for short term due to frequent fluctuation in prices due to various factors including rumors, developments, and supply/demand factor. However, it may also be the best option for long term due to current prices and the potential after development. Another short term option could be Garden City, since it has recently been acquired and prices are expected to rise quickly after its transfers are open. For Medium Term, DHA Phase 2 & Garden City (DHA Phase 3) are more preferred, however DHA Phase 4 may also be considered especially due to lower prices and work in progress. 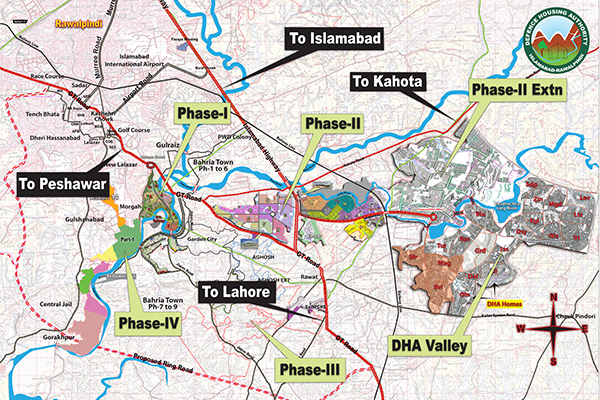 For long term, DHA Phase 2 Extension and DHA Valley are the best options to consider. DHA Phase 3 prices are unrealistic since location is very far and there is no development plan available,so we do not consider it for investment at current prices when we have alternatives available. For Residence only, there is absolutely no choice other than DHA Phase 2 Islamabad. Especially the blocks lying towards Islamabad Highway or the central blocks like D, E, G, J etc. Transfers of DHA plots are conducted in its headoffice located in DHA Phase 1. Open certificates/files are normally kept open in order to sell off without losing value or can be transferred easily without paying any transfer fee. Transferable files/plots need to be transferred properly after paying transfer fee and taxes. It is normally recommended to keep files open if you want to do short term investment but it is better to transfer if you want to keep your investment for a couple of years. You can also share your experiences, recommendations or views on investment in DHA Islamabad using the comments form below. In case you need more information on any of the DHA Projects or any kind of assistance, feel free to contact us via email or phone.